Making important concepts accessible to undergraduates, Sedimentary Geology shows you how sedimentary strata serve geologists as a continuous record of Earth's history. 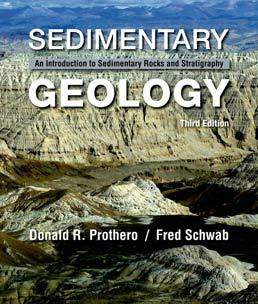 Taking on a conversational style, the authors present content ideal for for a first course in sedimentary geology or sedimentary rocks and stratigraphy. 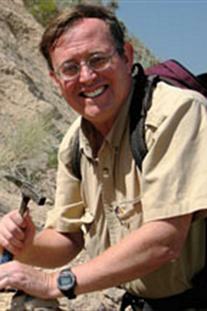 Donald R. Prothero is Professor of Geology at Occidental College in Los Angeles and Lecturer in Geobiology at the California Institute of Technology in Pasadena. He earned a Ph.D. in geological sciences from Columbia University. Prothero is the author, co-author, editor, or co-editor of 22 books and over 200 scientific papers. He is on the editorial board of Skeptic magazine, and has served as an associate or technical editor for Geology, Paleobiology, and Journal of Paleontology. He is a Fellow of the Geological Society of America, the Paleontology Society, and the Linnaean Society of London, and has also received fellowships from the Guggenheim Foundation and the National Science Foundation. In 1991, he received the Schuchert Award from the Paleontology Society for the outstanding paleontologist under the age of 40. 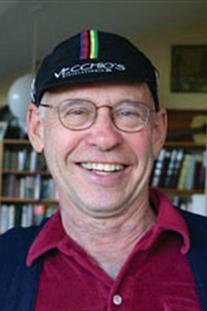 He has been featured on several television documentaries, including Paleoworld and Walking with Prehistoric Beasts.